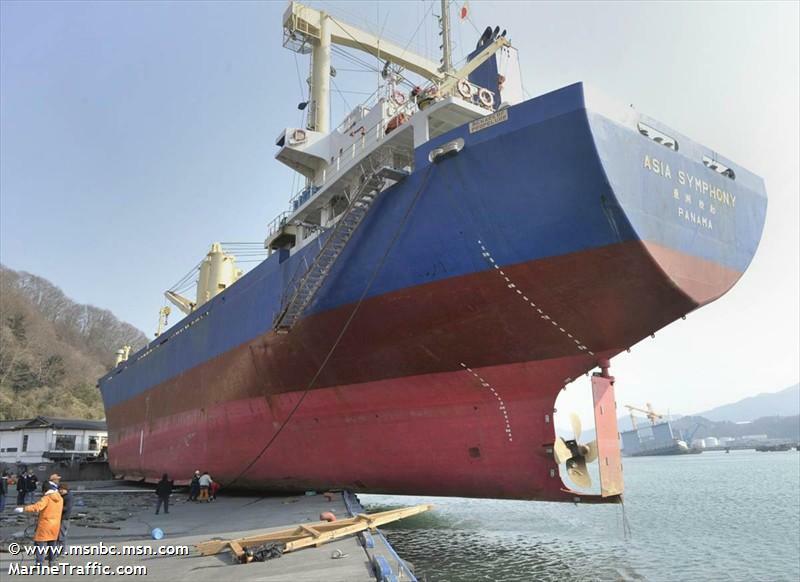 The 6175 dwt freighter Asia Symphony ended high and dry after the tsunami struck the port of Kamaishi, Japan. Photos of the vessel shows wreckage on the bow indicating it had struck another vessel or structure. Reports do not state the condition of the crew or if pollution is being released from the Asia Symphony.